Field trips and excursions are an important part in a student’s life. The purpose of the trip is to educate the students with real life applications. These trips provide students with greater lessons for life like sharing, caring, management skills and being independent. All the classes enjoy this benefit. Field trips are a highlight of the school year for most of the children. Field trips are learning experiences. So, venturing into the public allows children to feel actual experiences. It also helps students get hands-on learning to be exposed to different situations. 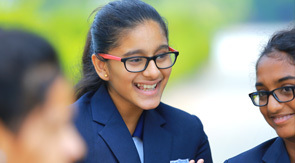 At Manchester International School children are taken out for field trips every term accompanied by staff. Educational tours are also of great importance as they not only broaden our outlook but enhance our knowledge to a great extent. That is why our students always look forward for such moments impatiently. Manufacturing facility. This would include any factory where equipment, tools, toys, packaging or anything else is manufactured. The mechanized equipment and assembly lines are fascinating to watch and it is interesting to learn which raw materials are used and how they are used to make the final product. Farm. This could be a "specialty" farm that grows some sort of specialty crop, a dairy farm, a farm that grows more ordinary crops such as wheat or corn, rice, sugar cane, banana or anyplace where food is grown. Think about the best time of year to visit each type of farm based on what operations may be going on at the time-planting, harvesting, cider making, sap gathering, etc. Fire Department. Learn a bit about fire safety, how firemen fight fires, the gear they wear, and how they live. Daily Newspaper. See the huge rolls of paper used and how the printing process works. Post Office. When we toured our local post office, we were told to bring along postcards addressed to ourselves and were able to watch the postal workers process our own cards, which we then received at home in the mail a day later. Food processing/packaging facility. Think about places that bottle soda, or make potato chips or cookies, or marshmallows, or candy, or any other type of food, or canneries where they can fruits or vegetables. The massive quantity of ingredients and mammoth size of equipment used is really something to see. It is interesting to learn how many pounds of sugar or flour are used per day to prepare the food at that particular facility. Often the process involves huge mixers, conveyer belts going through ovens, then on into special cooling rooms and other things that are fun and interesting to watch. This can start some neat discussions about preparing food at home for Thanksgiving or another large gathering! Sometimes you even get samples on these field trips!! Military or National Guard Installation. Learn about what their duties are, what gear they use, what training they receive, and what types of situations they respond to. Museum. There are large, well-known museums, but there are often small, little-known museums around as well that are quite interesting to visit. Lock and Dam. Often there is a display area showing the history of the area and displays where you can learn how a lock and dam works. Jewelers Shop, that creates or repairs jewelry and plan a visit to see the tools and skills used. Textile Mills, where how the yarn manufacturing. Ceramics Shop. Learn about the craft and how a kiln works. Pet shops See a wide variety of pets, learn about their habits and care. Bank. Visit a local bank to learn about the different types of accounts and services they offer. This is a great way to follow-up #18 above. If our children don't already have savings accounts, this may be a great time to open one! Recycling Center. Learn about what they recycle, how they do it and what their end products are used for. Zoo. students will always enjoy trips to the zoo! Planetarium. Watch out for evolutionary content here as well. Local TV Station. trip to coincide with the News program. A trip to the TV Station ties in nicely with a unit study on weather, especially if you can talk with the weatherman and learn more about his job. Dental Lab. See the different tools and methods used to make or fix teeth or dental appliances. Botanical Garden. This is a great opportunity to see a wide variety of plants. Power stations. Learn about how power is generated and supplied to your area. Wood Worker's Shop. Learn about the different tools and skills involved in making fine furniture or crafts. Eye Doctor. Learn about eye care, diseases/problems, diagnosis equipment and treatment. Print Shop. See the huge printing presses, trimmers and other equipment in operation. Historical Sites. Most areas of the country have a variety of historical sites. Some are well-known (historical buildings, etc. ), while others may just be an obscure marker commemorating some event that happened there. Wildlife/Nature Preserve. Learn all about plants and animals native to the area. Local Bakery. This would be an operation on a much smaller scale than a food processing plant discussed earlier in this list, but can also be very interesting. Dentist. Learn proper tooth care, see the instruments used in the office and learn about x-rays. Paper Mill. Learn about the paper making process from trees to tissue paper. National Weather Service. Learn about how they predict weather and the science behind weather, what equipment is used, and how the public is informed of the upcoming forecast. Basket Maker. Learn all about the various materials and tools used. Fish Hatchery. Learn about different types of fish and how area lakes and ponds are stocked. Nursery or Lawn/Garden Shop. Learn about different plants for your area, plant and soil care, insect control and beneficial insects. Police Station. Learn about what policemen do, methodology, technology used, etc. Water Treatment Plant. Learn about where your water comes from, how many gallons go through the plant, water purification and testing. "Manchester International School’ is playing a vital role in shaping my kids prospectus future, through their parent and student friendly curriculum. Their unique approach to the current trend of education provides the winning edge to the kids and to the institution. I feel proud to see that MIS has secured many awards like best schools in Coimbatore, No 1 school in Tamilnadu, Top schools of India, kudos!"